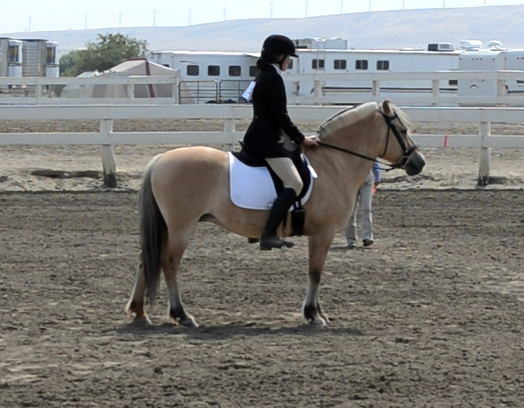 The Moody Mare: Clicker Training: Mouthy Horses and Circus Seals? Clicker Training: Mouthy Horses and Circus Seals? One of the biggest things that automatically sets people off about clicker training is the fact that it typically involves treats. This is partially correct. Clicker training uses positive reinforcement, though it doesn't necessarily entail the use of treats - petting/praise is another common form. However, I am one of the people who uses treats (to the horror of many) with clicker training simply because Ypke is very food motivated and it works well for us. Despite Ypke being a dominant, moody mare I have had little to no issues with her becoming mouthy. However, this wasn't always the case. When I first started feeding Ypke treats she became VERY, VERY mouthy and was constantly mugging me. This is the typical response from horses in the beginning, and it scares people off from the method. I almost quit clicker training because I was very discouraged at her response... I thought I had ruined her even more! After a few short sessions, Ypke realized that she only recieved treats for good behavior, and that being a delinquent gave her nothing in return. Plus, I also taught her to keep her head turned slightly away — staring at me does nothing. I have noticed many people give their horses treats for no reason, which defeats the purpose of using them for clicker training. Ypke has to earn treats, she doesn't get them handed to her on a silver platter for the heck of it. 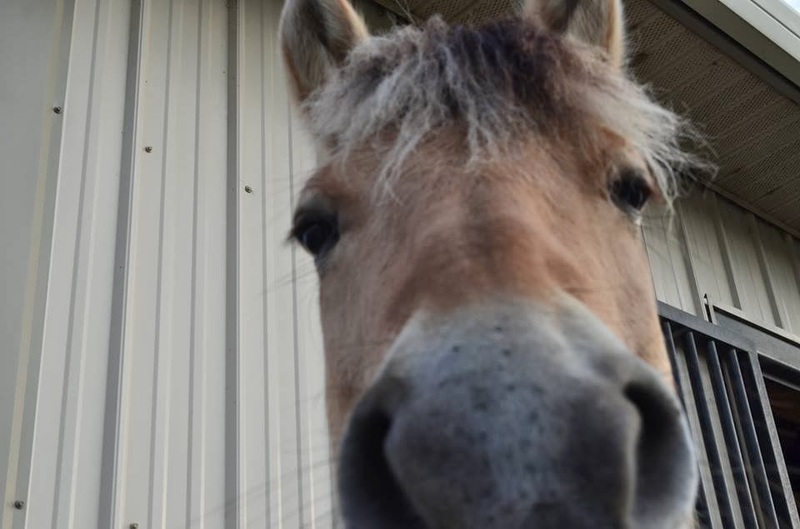 Obviously, if you give your horses treats left and right for no apparent purposes (even when they are getting grabby), you are likely to run into issues. Another common concern is that the horse becomes a circus seal (you know: does the trick, eats the fish, and "Bye, Felicia!") and does things only for treats. People assume that if you quit using treats, the horse will quit "being good." Actually, I have noticed quite the opposite. The whole goal is to not use the clicker all of the time. You start out at 100% but as the horse becomes acquainted with the task, you gradually wean them off of it. For example, for training Ypke's slow jog I would give her a click and a treat just for just a couple strides of the jog. Ultimately, I kept asking for more and more strides as she got better, and the clicker was no longer needed for that task. I sometimes still occasionally reward the slow jog just to refresh the idea. Now, this is just based off of my own personal experiences (and is not intended to be training advice, so use clicker training at your own risk) with clicker training Miss Ypke. Let me know what you think! Have you ever used clicker training or used treats for positive reinforcement training? What were your results? Lesson one is how to take a treat properly. I kept my horse tied, and then just stood near him with treats. When he stopped being pushing or briefly turned his head away from me, I would then click and give him a treat. Lots of repetition, and he learned that he only got treats when he stood politely and didn't invade my personal space. That first lesson is the hardest but most important in my opinion. Sounds just like Ypke the first few times I tried clicker training! Like Sonny, I also kept Ypke tied (however, a stall with a stall guard up is also fine). I stood back from biting distance and just waited there, not even acknowledging that she was around. Eventually she would look away and that was when I would click and give her a treat. The key is definitely patience - think of it kind of like a waiting game in the beginning. After several sessions Ypke got the memo that being rude did nothing to help her out, and she either looked straight ahead or slightly away. I also kept the sessions short (no more than 15 minutes) and was very careful with my timing and being consistent with what she had to do in order to earn the treat. Another really helpful thing, along these lines, is to train a "good behavior" request, like "put your head down" or "turn your head away". If you train your horse to lower his head when you put your hand on his face, or touch his head a certain way, then he will learn that those behaviors are what are needed and if he accidentally bumps you he may just lower his head on his own! I say this in the full knowledge that I COMPLETELY FAILED to do so with my pony, and he remains rude and unpleasant when I clicker train him while grooming. Also make sure to feed the treat at arm's length. Never feed it close to your body. All great advice. Good luck! Sticking with clicker training in the beginning when they are aggressive about the treats can be intimidating, but it is so worth it in the long run. Keep up the good work! interesting!! i don't know much about clicker training, but also don't have any opinions on it (negative or otherwise). my feelings about training are to use what works for you (and with confidence, bc otherwise the horse will see through that pronto) - and just stick with it! so i'm always interested in hearing what other ppl do! Yes, totally - whatever works for both you and the horse! Both of my sister's horses were a little annoying when clicker was introduced to them. I spent the time with both of them to teach them to turn their heads away from me--and then I would give them the treat. In a couple of lessons, the problem was solved. I never had a problem with Cole, so I didn't teach him to turn his head. He just figured out to hold his nose really still and he would get the treat after a click. All of our horses have thrived with clicker training, and it makes training more fun for everyone. Yup, it really didn't take long for Ypke to catch on either! It really is a fun, versatile method! Thanks so much for the info! I've never tried clicker training before, but I've been mulling around the idea of trying it this winter. I haven't tried clicker training, but I have used treats to get my mule to stand by the mounting block. We went from fully braced, not moving forward towards the mounting block at all or blowing up running backwards to walking over quietly and standing nicely. I don't even give the treats anymore, I just had to bride her 2-3 times and it all got better. She's also very food motivated. Very neat! Food can definitely work wonders, haha! I use treats too because my horse is food motivated. What a lot of people don't understand is that if you're having a problem with your horse and clicker training it means you're doing something wrong, not the horse. Clicker training is so simple once you get the hang of it. You reward what you like and teach them an opposing behavior for things you don't like (such as looking away if they are mugging). It all comes down to timing and CONSISTENCY!! The consistency is where I fail. I also have a really hard time with weaning them off of the clicker because I get impatient and want to move on to the next behavior. I just get bored and don't take the time to really polish off the behaviors. I'm fully aware that any of our failures are 100% my fault. This does make me really want to get back into clicker training though. I do miss it. It's just so cold and my fingers freeze. Maybe I'll pick it back up in the spring. :D Thanks for sharing this post! Yep, I agree! I use Pocket Pony Organic Horse Treats - no scary ingredients, just the right size, not too crumbly yet not rock solid, and a nice selection of flavors, I actually wrote a review http://www.themoodymare.com/2014/07/pocket-pony-horse-treats-aka-best.html. The only problem is they are hard to find offline, and are more expensive. Manna Pro bite size nuggets are also great, and they are easier to find and less expensive. Oh yeah I forgot about that review! I was going to try those and totally forgot. Thank you! That's great! I'm glad it seems to be working for you two! The first couple of days are definitely the worst.